Winter is here, snow and ice have finished the garden season. Too soon if you ask me. In the winter months, there is often this longing for a warmer place. A gardener wants to go south, but who wants to move? Well, you can, even without moving. Just move a portion of your garden south. How? you might ask. It is simple, with a greenhouse! A greenhouse protects from the elements in the outdoors, while still letting in all the light. 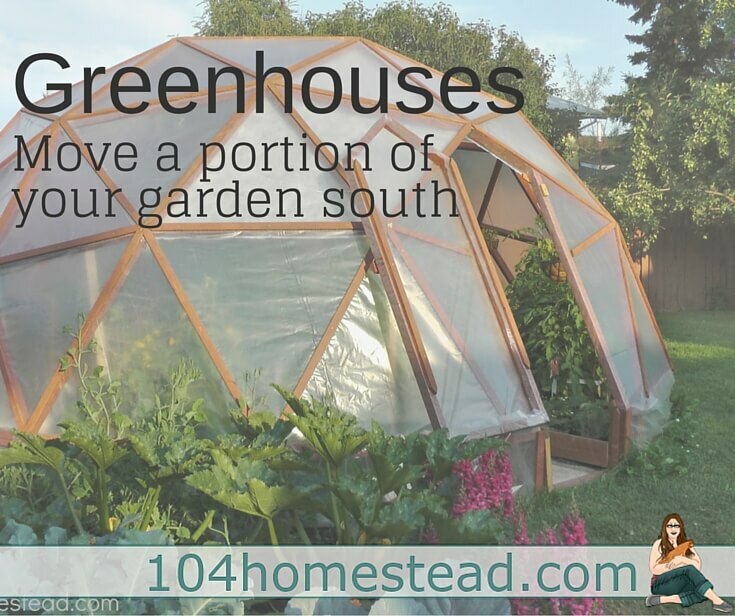 Depending on how far south you want to go, you will need to choose your proper type of greenhouse. A simple hoop house/polytunnel, at night, 4 degrees warmer than the outside temperature. It also will allow you to add additional layers of protection without worrying about the wind. You move a zone to one and a half zones south. Covering the hoop house with double plastic would more than double the protection. A simple hoop house is easy to build and fun to use. Are we in Florida yet? 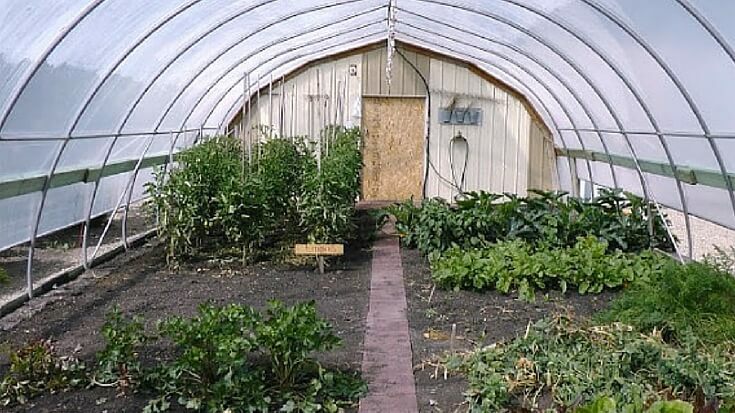 Polycarbonate panels or sealed windows would give even more protection, however, can’t be used for a simple hoop house. A more sturdy structure is needed. If you are farther North, and wind and snow are an issue, you want to choose a more sturdy structure. In our experience, a GeoDome has stood gusty wind and heavy snow loads. Also, if covered with polycarbonate panels, the GeoDome greenhouse with its optimal light absorption becomes a good choice for off-season gardening. Wooden frame greenhouses and even sturdy insulated buildings are needed for deep winter growing in the far north. 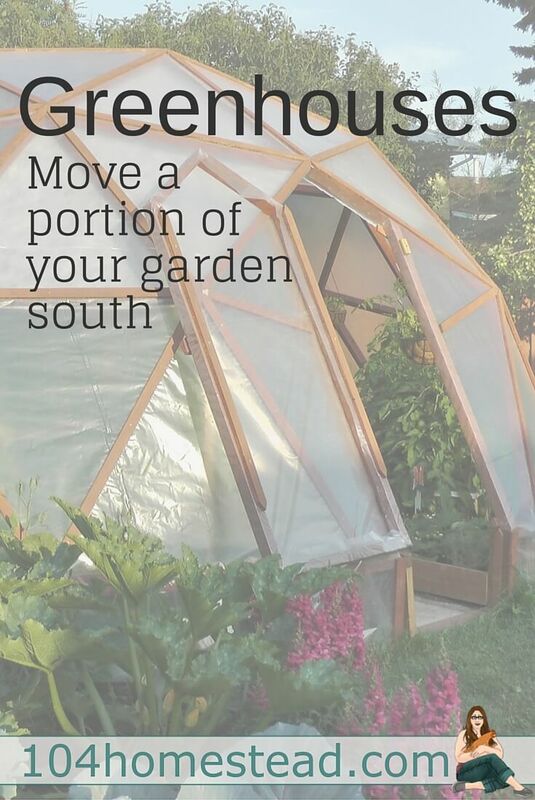 The more growing zones you have to move or want to move, the more sturdy and insulated your greenhouse structure has to be. In the true north, just insulation and a sturdy structure will not do it, unless you are winter sowing. A heating system has to be installed. Again, depending on how much you want to increase the temperature in the greenhouse, you will have to choose a heating system. In our GeoDome greenhouse, we had a simple heating and cooling system using a thermal mass and a car radiator. It worked great for our cool summers. In some milder climate that would be enough to get through the whole winter. For us, however, in our four-season greenhouse, we are using a rocket mass heater. Moving is never simple, even if all you want is to move a portion of your garden south. 😉 Still, not as hard compared to a real move and so worth it! Our Canadian outdoors are frozen solid by now, but we are still enjoying fresh garden (hmm, greenhouse) salads, and are planting new seeds – how fun! Hope this encourages you to think about a greenhouse right where you are. How far south would you want to move? 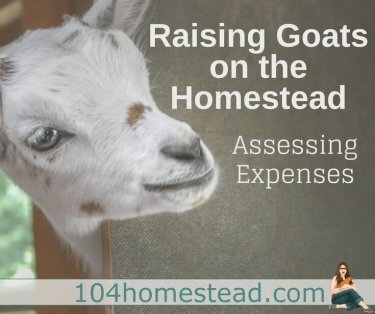 Anna is the author of Northern Homestead, a blog that shows by example how to grow, raise, and preserve real food in a cold climate (Zone 3A) at an urban homestead, along with some food for thoughts.